Beautiful, peaceful music is a wonderful aid in helping us relax and unwind from the stresses of modern day living. The music on Tranquil Motion is designed to lower the heart rate and help restore the calm. 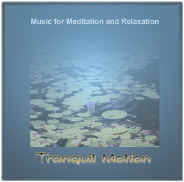 It is also excellent music for Meditation with over 50 minutes of soothing sounds to revitalise the spirit. Music for Relaxation & Meditation. Tranquil Motion is perfect for clinics & health practitioners. A great addition to the music library for professionals or home. Our studio also caters for people wishing to record their own guided meditations or self help CDs More..